Equine therapy helps people learn about themselves and improve their lives. But what is it, what are the benefits and how are facilities – from destination to day spas – tapping into horsepower? As prey animals, horses live in the present moment, are guided by their intuition and senses and, due to their ultra-sensitivity to energy and body language, are experts at non-verbal communication. Their reactions to people are used in treatment sessions to peel back the layers of deep-rooted issues, such as career or relationship difficulties. Someone may say they feel fine, but something as subtle as a tail flick from the horse can indicate frustration or yawning can reveal submission. 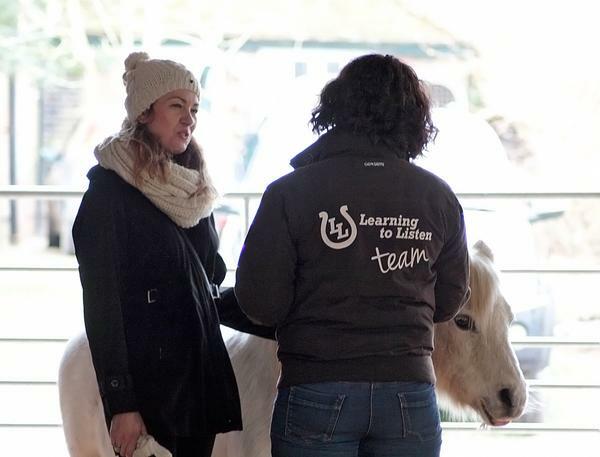 Coaches use a horse’s response to guide their questions to delve into feeling and behaviour patterns, and offer suggestions on how to work through them. Sessions take place either in a group or one-to-one. Equine Assisted Therapy (EAT) is an experiential form of psychotherapy and is used to assist individuals dealing with emotional disorders, such as anxiety, depression and PTSD, and help people through difficult life transitions, such as divorce or bereavement. Equine Assisted Learning (EAL) helps people develop heightened self-awareness while gaining valuable insights into their behaviour. This improves their emotional and social interaction skills. This therapy can also be used in leadership training and corporate team building events. As an alternative way to help guests look after their minds, equine therapy could well be the dark horse on a spa’s menu. 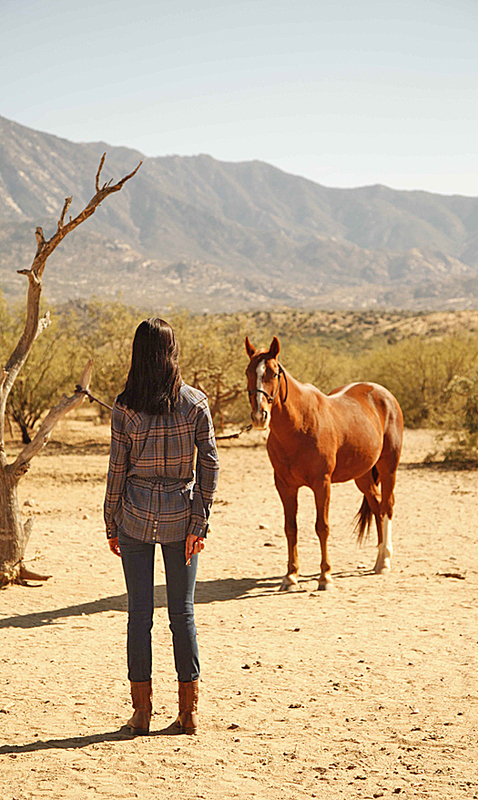 At Miraval Arizona, US, equine therapy is a powerful spa offering. “It transforms the lives of many of those who experience it, especially in their relationships with others and themselves,” says Wyatt Webb, who heads up one of seven experiences. “We’ve had prominent CEOs say it’s helped them be more mindful in how they carry out their professional responsibilities and deal with stressful situations,” he says. Sharon Kolkka, general manager and wellness director at the Gwinganna lifestyle retreat in Australia, noticed that many guests wanted to interact with her horses that live onsite, so looked for a trained equine therapist. “From the very first moment it was one of our most talked about experiences. It delights guests who are keen to try something new and offers Gwinganna a point of difference,” she says. Gwinganna offers four classes, starting at AU$240 (US$174, €152, £136) an hour, plus a three-night Life in Balance programme which includes EAL and costs AU$1,705 (US$1,221, €1,082, £972) with accommodation. “It’s helped increase our secondary revenue and improved our facilities for both equine and emotional wellbeing services,” Kolkka adds. In the UK, holistic centre Haelan Therapy uses horses and offers a gamut of other complementary modalities to ‘help people live happy, healthier lives’. 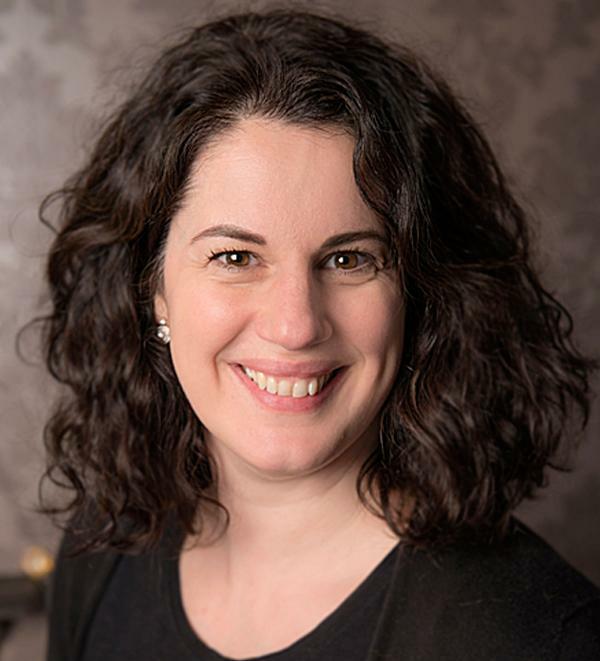 “Our bodies hold onto our emotions, be that grief or stress from work or a relationship,” says founder Rebecca Kelly. “Equine therapy is another method to help clients understand themselves.” The centre offers group equine sessions, one-to-ones and a £250 (US$314, €278) transformation day with yoga and holistic therapies. Set on a mountain on the Gold Coast, Gwinganna has an ample 10 acres of pasture for its horses to roam. Guests aren’t permitted to enter the paddock unattended and the horses work a maximum of four hours a day, on limited days of the week. At Miraval Arizona’s stables, which are a three-minute ride from the spa, horses’ emotional and mental needs are prioritised. “No horse is forced to participate in a class they’re not comfortable with,” says Webb. Equine therapy doesn’t just have to be limited to destination spas either. Facilities restricted by space, can partner with stables and sanctuaries already offering EAL or EAT. Christine Badoux, founder of Equine Experiential Coaching in Arizona would welcome such a relationship. “By partnering with established equestrian centres, spas can offer life-enhancing experiences with horses, without taking on the considerable investment in time, expertise and money that’s required to properly care for horses,” she says. Haelan Therapy has done just this by collaborating with Learning for Life, a team of equine facilitated coaches, at its nearby stables. EAL and EAT are relatively new therapies and it’s essential practitioners are properly trained, something Kolkka is very aware of. “Just because a licensed mental health professional or training facilitator loves horses doesn’t mean they’re qualified to put these two worlds together,” she says. In Australia, EAT is a two-year government accredited training course founded by Jane Faulkner, one of four equine therapists at Gwinganna. In the US, Webb references certification from the Professional Association of Therapeutic Horsemanship (PATH). There’s also the Equine Assisted Growth and Learning Association (EAGALA). 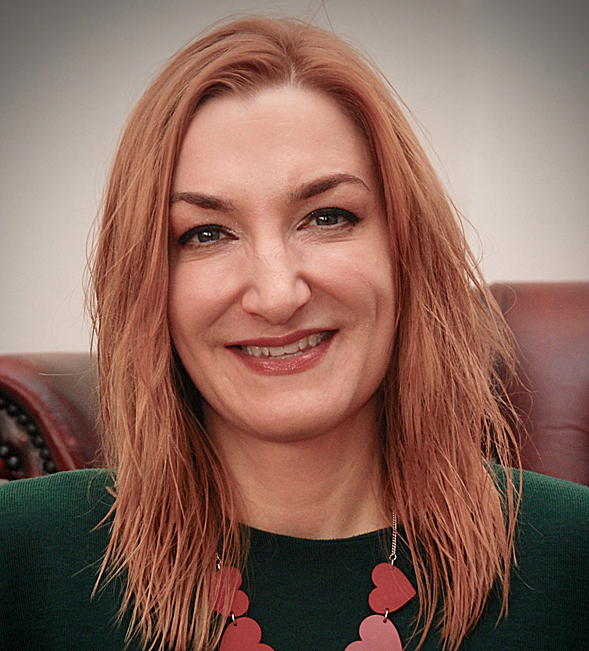 In the UK, Haelan’s Kelly, leads horse-based sessions and is a professional mentor and transformational coach. She also took an equine facilitated coaching qualification through Lantra. 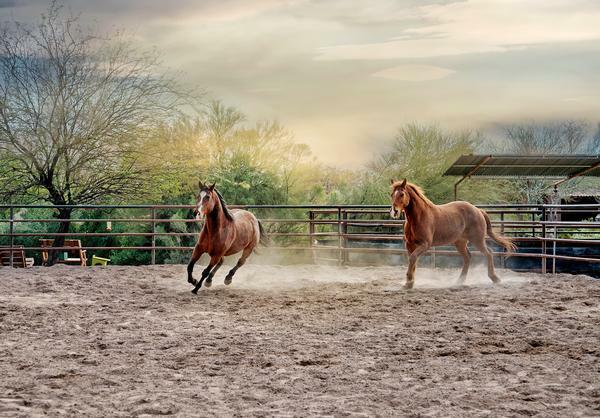 With 65 per cent of Miraval Arizona guests having at least one equine activity during their stay, equine therapy is among the destination spa’s most sought after experiences. Also popular is the US$75 (€66, £60), 2-hour Unforgettable Canvas class where guests paint onto the horse, encouraging in-the-moment creativity. 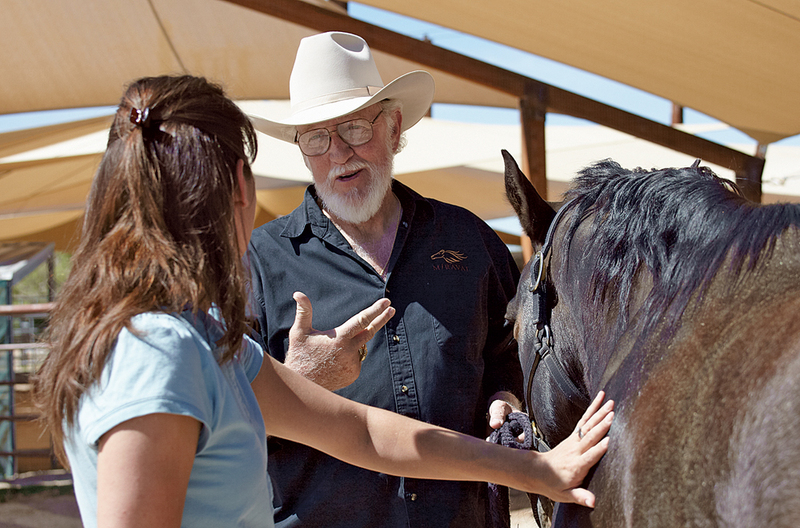 The more intense Miraval Equine Experience Immersion devotes four days to helping guests discover their authentic selves. They spend three hours each morning with the horses and three hours in the afternoon in group processing sessions. This is priced at US$650 (€574, £510). Not being used to horses, I was nervous before my equine session with Haelan Therapy founder and Learning to Listen coach Rebecca Kelly. And a little sceptical. I couldn’t understand how standing near a horse was going to help me. First, Rebecca asked about my feelings and if there was anything I’d like to address. I explained that the eldest of my two children was being very defiant and I didn’t know how to deal with it. In the paddock were two horses. One, Topper, came straight up to me and I surprised myself by feeling relaxed and confident enough to pet her. But every time I went near the other horse, Bow, Topper blocked me and Bow was forced away. This reflected my home dynamic exactly – whenever I focused on my eldest child, my younger one intervened. It was no wonder the eldest was being defiant – she felt rejected and second best. Rebecca explained this to me and advised how to take control and show Topper, in a calm, non-tactile way, that she needed to back off and give me and Bow some space. My equine therapy session made me view my situation in a new way – one that I could understand, address and resolve. From being sceptical, I now think everyone should try it!